Wooden Convenience Tea Gift Sets 2 with the material is white New Zeland wooden. The pattern in the box is the Dong Ho paintings and printed handwork. 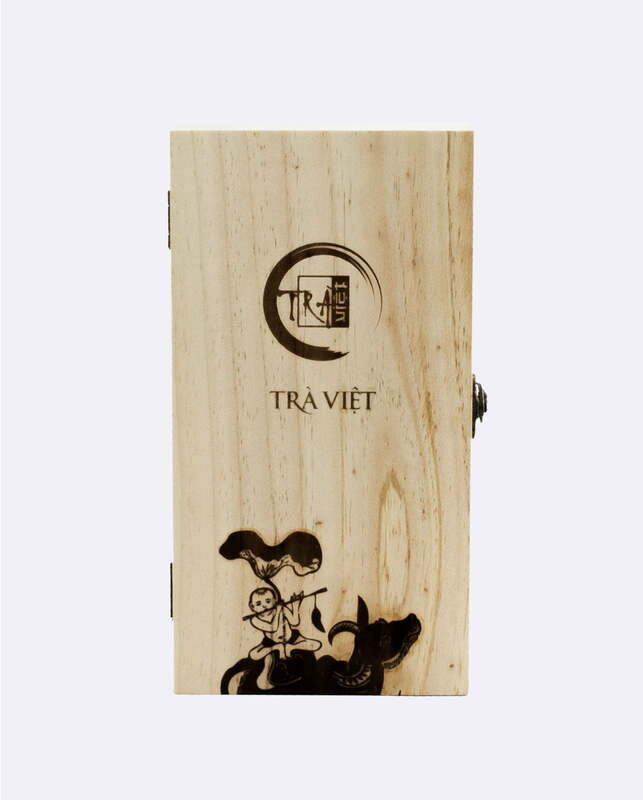 Each Tra Viet wooden box has naturall wood texture from the white balsam trees. 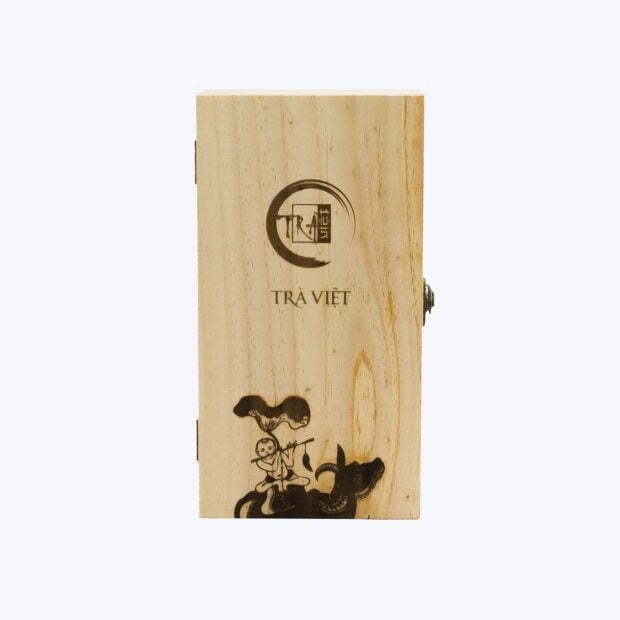 Every is elegantly engraved with folk arts using a sophisticated heating method. 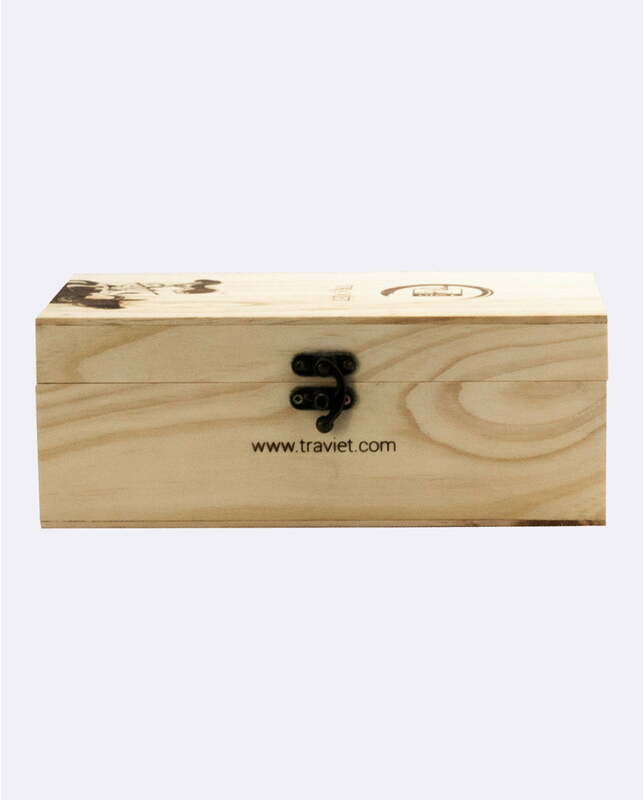 The end result is a beautifully craft box design which guarantees to satisfy all tastes and desires. 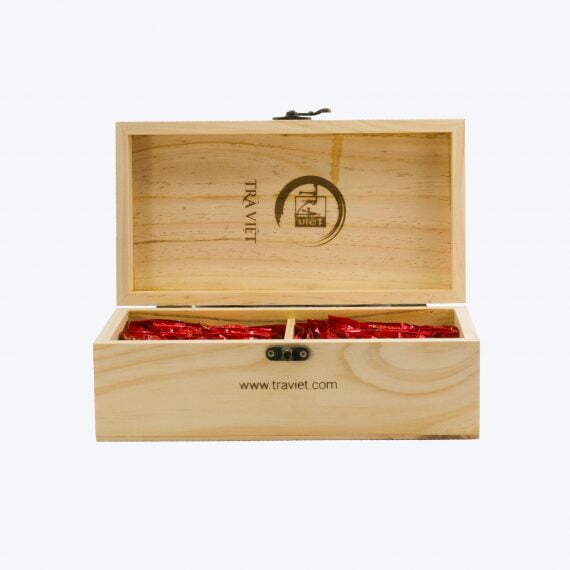 And Wooden Convenience Tea Gift Sets 2 has luxurious appearance but equally traditional. Each gift set consists of 10 convenient vacuum-sealed 8gr tea bag. 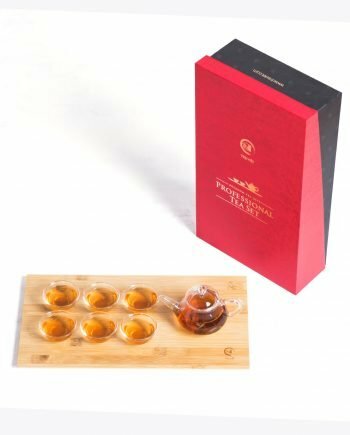 Every bag should be made one tea pot. It facilitates the making of the tea since you don’t have to worry about how much to use. 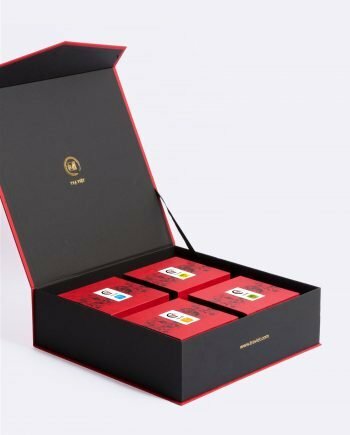 People collecte green tea from the North to the South of Vietnam, especially the famous plantations tea like Thai Nguyen, Lam Dong, Ha Giang,…and make all become the Premium Tea Gift for customers. 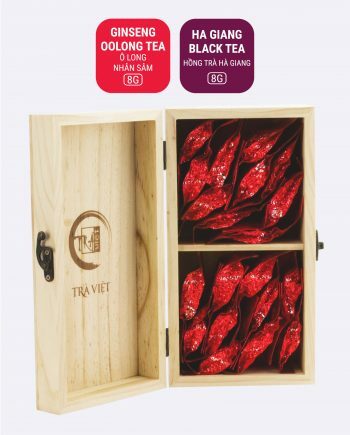 Meanwhile herbal tea is precious gift of North Vietnam. 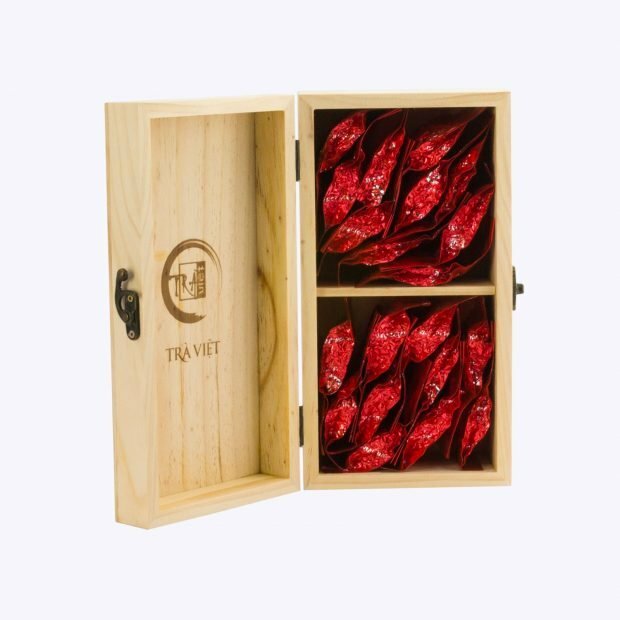 Vietnam is one of the tropical countries which has many types of herbal plant, such as: ginger, hibiscus, sweet leaves, chamomile, rose,…that gives us a lot of heath benefits. 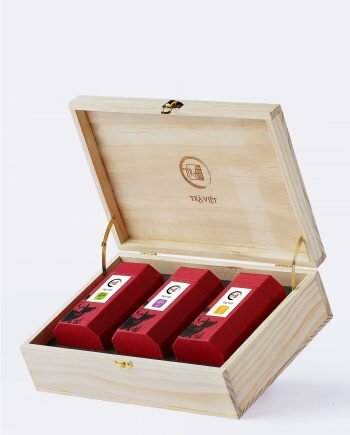 So it has variety of types and rich in taste. 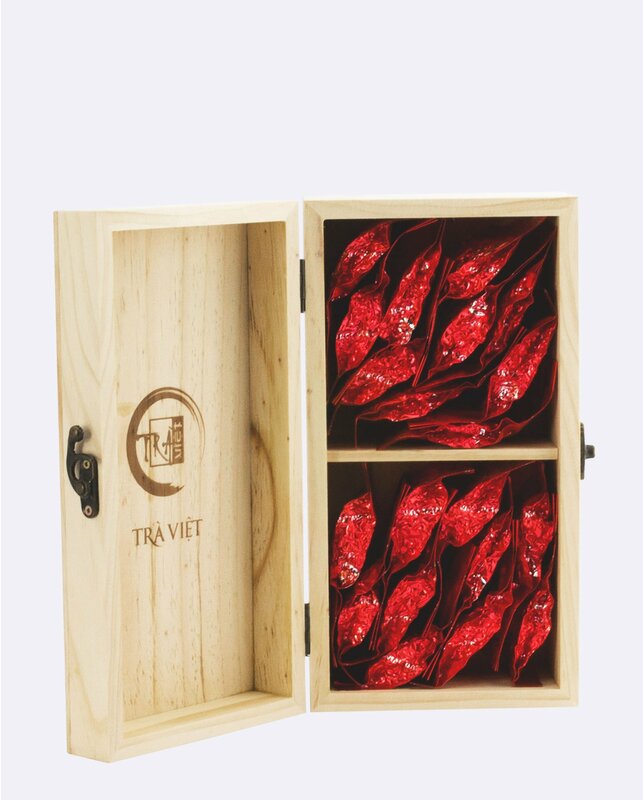 The unique point of Tra Viet herbal tea is natural, high quality flowers and leaves. 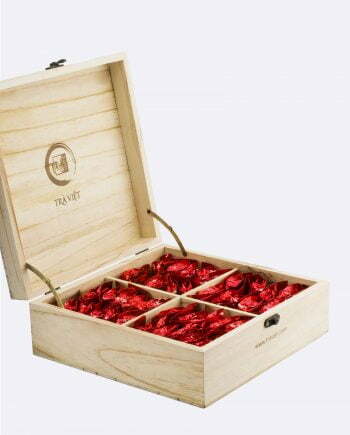 On the other hand, the use of freeze drying technology will keep raw materials retained original color. 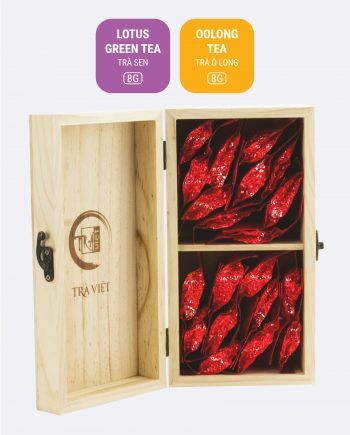 Moreover, we hope to give them the best way to enjoy tea easily and feel the true value that makes us to be proud of Vietnamese tea.